PM Narendra Modi today said the ‘Make in India’ initiative has become a movement in Japan and the island nation has created a fund of about USD 12 billion for it.”Today, there is a ‘Make In India’ movement in Japan. I have been told that USD 11-12 billion fund has been earmarked for it. This clearly indicates how both the countries can move forward,” he said while addressing the India-Japan Business Leaders Forum here. 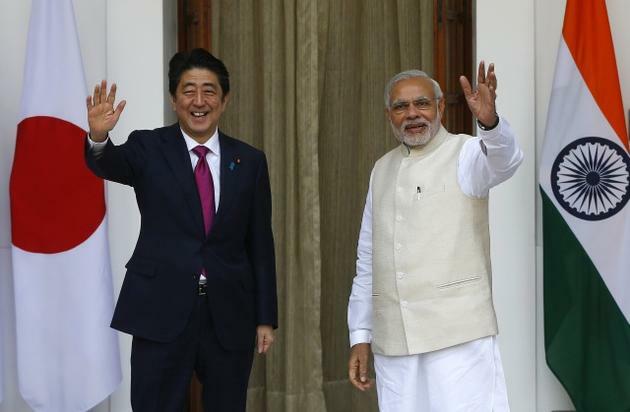 Recalling his last visit to the country, Modi said Japan committed an investment of USD 35 billion. “The figure had surprised many at that time, but today, within a short time-span, unimaginable progress had been made, and the contours of this investment were beginning to get visible on the ground,” he said. Highlighting the improvement in economic indicators in both India and Japan, he said these were extremely encouraging, especially in the light of the global economic slowdown.”It is clear that India is a land of possibilities,” he added.Praising Modi’s reforms programme, Japanese Prime Minister Shinzo Abe said, “Prime Minister Modi’s speed of implementing policies and reforms is like Shinkansen (bullet train) and his reform agenda is as safe as Shinkansen.” Abe also said that India has become a very attractive investment destination for Japan.